Opera singer Alfie Boe is back on Broadway as Jean Valjean in the hit Broadway musical Les Misérables. Boe has admitted that Valjean is a special role for him and that it took his career to a new level when he sang in Les Misérables in Concert: The 25th Anniversary at London’s O2 Arena in 2010. "That was the moment that turned my career around. . . . It's something that I'll respect for the rest of my career, something I hold very dear to my heart," said Boe. His Broadway run began September 1, 2015, and marks his first return to Broadway since his debut in La Bohème in 2002. Alex Boyé has been performing the spiritual “I Want Jesus to Walk with Me” since the early days of his membership in the Mormon Tabernacle Choir, which lasted from 2007-2014. Alex Boyé is a multitalented performer who was the Choir’s guest artist for the 2017 Pioneer Day concerts in Salt Lake City, Utah. He was born in London, England, to Nigerian parents and moved to Utah in 2000. The move was a big change for Boyé, who previously recorded and toured Europe as boy band member and shared the stage with the likes of NSYNC, the Backstreet Boys, George Michael, and MC Hammer. Santino Fontana made Mormon Tabernacle Choir history when he performed as a guest artist with the Choir three times within a year. In July 2014, Fontana made his first appearance in the summer Pioneer Day concerts. Five months later Fontana was back on the Conference Center stage singing Christmas songs. 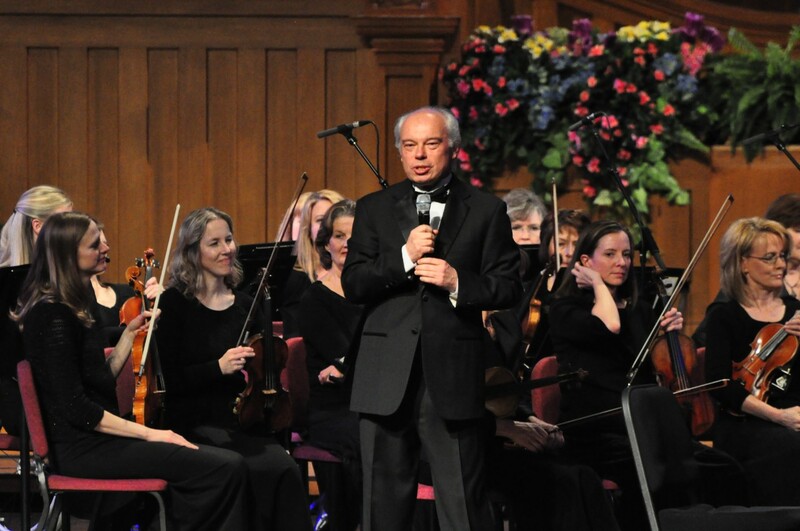 Only two months after the Christmas concert, Fontana returned to perform in a concert for the American Choral Directors Association. Without the Hammerstein family, Broadway just wouldn’t be Broadway as we know it. In 1864, Oscar Hammerstein I emigrated to America from Germany via Liverpool, England. After a three-month journey to the United States, Hammerstein arrived broke, with dreams of making it in the opera business. The 2014 Christmas concert was nothing short of magical. 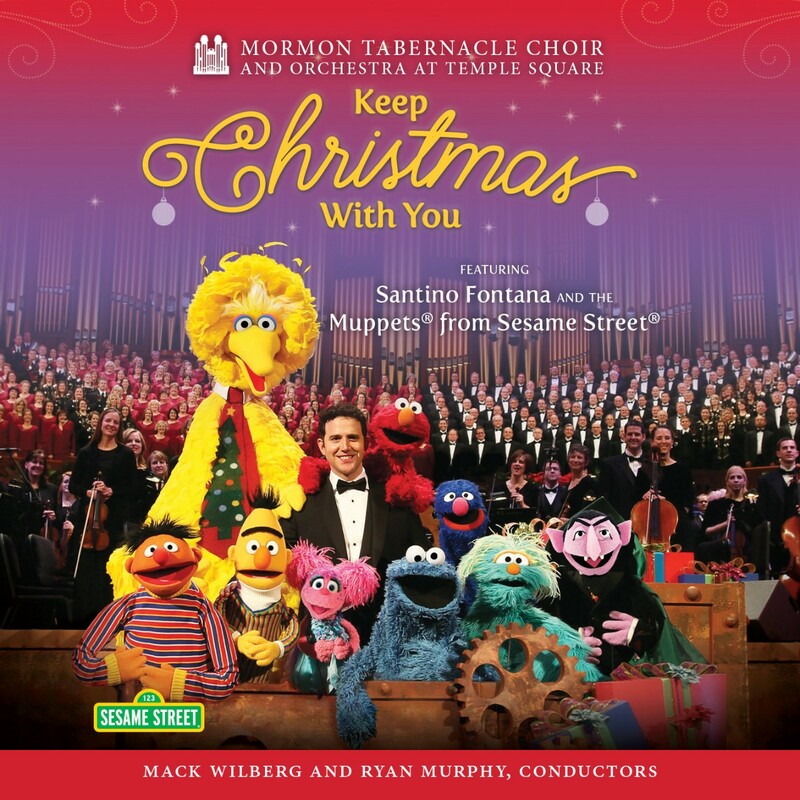 Santino Fontana, along with the Muppets® from Sesame Street®, were guests of the Mormon Tabernacle Choir and Orchestra at Temple Square for the concerts. When we sat down with the puppeteers from Sesame Workshop® after the Christmas concert run, they were effusive in their praise of the Choir, the crew, and the entire organization. There is a story behind almost every song the Mormon Tabernacle Choir sings. Some are near legend, such as George Frederic Handel’s Messiah, Martin Luther’s “A Mighty Fortress Is Our God,” or the folk song “Shenandoah.” Arrangements by Mack Wilberg and Ryan Murphy have given new life to many hymns. Favorites like Wilberg’s “Come, Thou Fount of Every Blessing” continue to set records on YouTube as well as bringing concert-goers to their feet. Last but not least, our final Sesame Street Christmas concert guests are Big Bird and Cookie Monster! They will join Frozen’s Santino Fontana, and their Sesame Street friends Count von Count, Elmo, Grover, Abby Cadabby, Rosita and Bert and Ernie for the upcoming Christmas concerts, which will be held December 11-14, 2014. During the 2014 Pioneer Day concert, Frozen’s Santino Fontana performed the Mack Wilberg arrangement of “Never Never Land” from the musical Peter Pan. This very gentle moment in the show came right before the show’s finale. Update (1/1/16): Natalie Cole passed away on December 31, 2015. The Mormon Tabernacle Choir organization wishes to express its sincere condolences to her family. In a press conference during her 2009 guest appearance with the Choir, Cole said, '"I really think we are here to honor our Lord Jesus Christ. He will be definitely honored, and I'm sure he's pleased. It's so nice to take the 'I' out of it and make it a team effort." She also lovingly referred to the Choir as her "Wonderful backup singers." When Santino Fontana took the stage during the 2014 Pioneer Day Concert, he said, "This is a big first for me tonight. And it's going to be a night of firsts for all of us." Later, just before he performed the song "How to Handle a Woman", he revisited his previous statement: "I said this is a night of firsts. This really is. I have to take a selfie." With that, Fontana took out his smartphone, snapped a couple photos, and made history. Later, Fontana posted the photos to Twitter and Instagram. The Osmonds have been performing together for over 50 years, a remarkable feat to say the least. People all over the world have connected the Osmond family with The Church of Jesus Christ of Latter-day Saints (also known as the Mormon Church), for as long as they’ve been a household name. It only seemed natural to celebrate their 50-year anniversary with the Mormon Tabernacle Choir, so that’s just what they did. "Can you imagine 50 years? It's unbelievable, and the life they have lived, the example they have set, not only for the Church, but the entire world!" said Mac Christensen, former president of the Mormon Tabernacle Choir. The Face to Face LDS Youth event on Facebook was a huge success! People around the world were able to watch the event in real time and participate in a question and answer session with the recently returned missionary, David Archuleta. For those of you who missed it, you’re in luck because you can watch the entire video below or here. This inspiring video will only be available until June 2015, so make sure to watch it while you can. The event was moderated by David L. Beck, Young Men General President, and Bonnie L. Oscarson, Young Women General President. Kerstin Tenney grew up in Taylor, Arizona, a small town with just over 4,000 residents. Tenney went on to study Violin Performance at Northern Arizona University then earned a master’s degree in Violin Performance from the University of Utah. Former Choir guest artist and veteran Broadway star Audra McDonald has done what no one has done before: she won her record-breaking sixth Tony Award for her performance as Billie Holiday in Lady Day at Emerson’s Bar & Grill. She received a standing ovation as she accepted the award for Best Performance by an Actress in a Leading Role in a Play. The record for most wins was previously shared by Julie Harris and Angela Lansbury, who each had five Tony Awards. Lansbury was also a former guest artist of the Choir. Salt Lake City — Music lovers have much to anticipate this summer, as the Mormon Tabernacle Choir partners with three very diverse artists for two remarkable concerts. Up-and-coming Latter-day Saint artists Lindsey Stirling and Nathan Pacheco will be the featured performers with the Choir and Orchestra at Temple Square at this year’s Pioneer Day concert on Friday and Saturday, 19 and 20 July, at 8:00 p.m. in the Conference Center. On the other end of the summer concert season, on Friday and Saturday, 6 and 7 September, five-time Grammy Award-winning artist James Taylor will perform with the Choir and the Utah Symphony at the Conference Center for the 30th anniversary of the Tanner Gift of Music concert series.